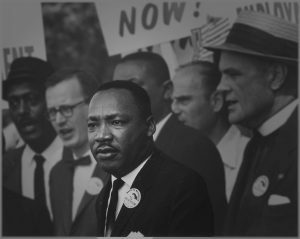 TUSCALOOSA, Ala. — The University of Alabama is gearing up to celebrate Martin Luther King Jr. Day like never before. For years, the University has celebrated King’s legacy through the Realizing the Dream concert and community events, but now it’s expanding the celebration with the addition of more learning and engagement opportunities on the campus. The University of Alabama Dr. Martin Luther King, Jr. Commemorative Committee, a universitywide committee of faculty, staff and students, was established with the goal of creating more learning opportunities for faculty, staff and students about the life and legacy of Dr. Martin Luther King, Jr. and an increased emphasis on giving back. The committee chose “The Fierce Urgency of Now: A Day On – Not a Day Off!” as their theme, focusing on the importance of seeing the actual holiday, Jan. 21, as a time of service to give back to the community. “Dean Mark Nelson, the committee co-chair, and the other 15 faculty, staff and student committee members felt strongly that it was important to place emphasis on service and learning,” said Dr. G. Christine Taylor, vice president and associate provost for Diversity, Equity and Inclusion and co-chair. In addition to campus’ focus on service on the actual day, the committee has coordinated additional opportunities concluding Jan. 31 with Meet You at the Table, an evening of celebration, reflection and sharing through word, dance and song on the life and legacy of Dr. King. Open to the public, the evening’s special guest will be the Rev. Thomas Linton, a leader in the Tuscaloosa Civil Rights Movement. Refreshments will be provided. The event begins at 6 p.m., and registration is required at diversity@ua.edu.